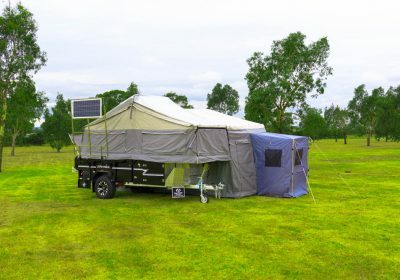 Most people want to occasionally do outdoor adventures and activities, such as hiking, beach activities and sports, and camping. 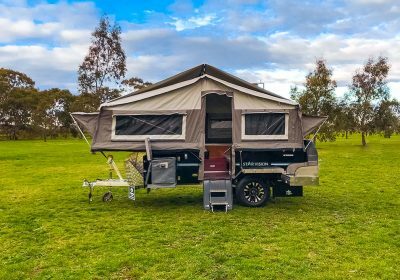 Australians are fortunate with having mountains, seashores, and diverse landforms in their country. 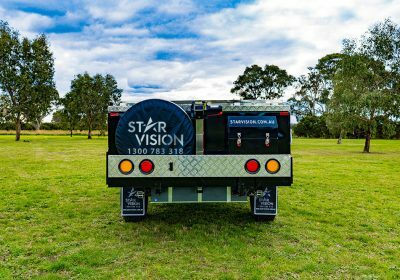 Do you want to get a boundless experience by exploring Australia during your next holiday season? 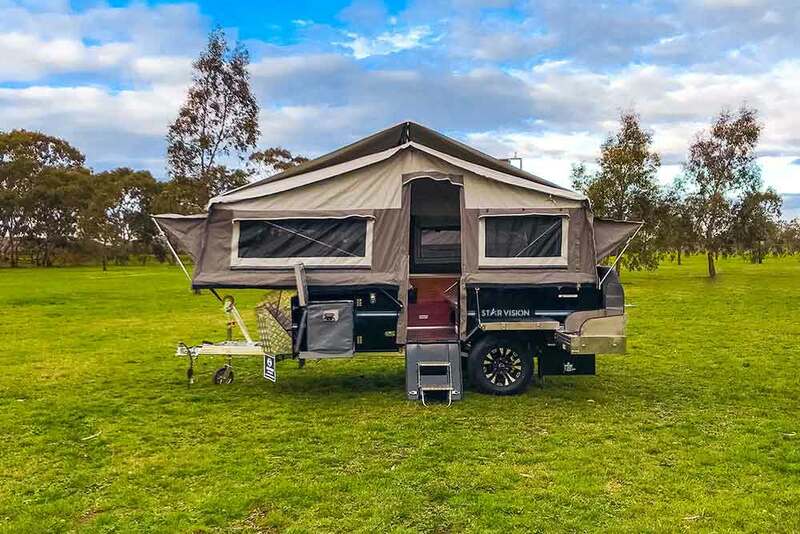 Are you searching for great ways to explore the country with your family? 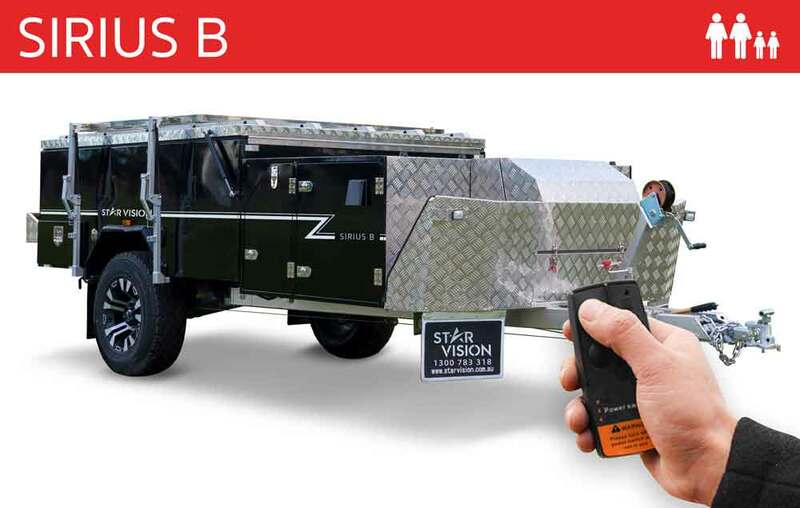 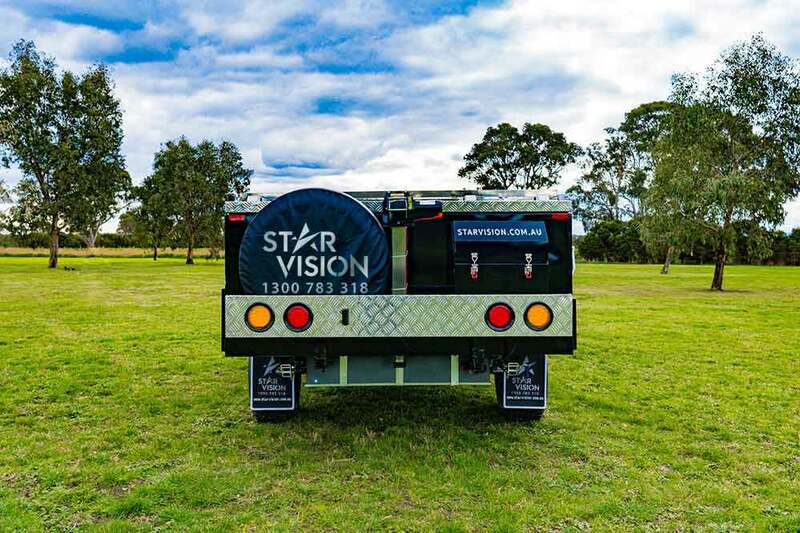 One of the best answers is here: The Sirius B off-road camper trailers from Star Vision Campers & Caravans. 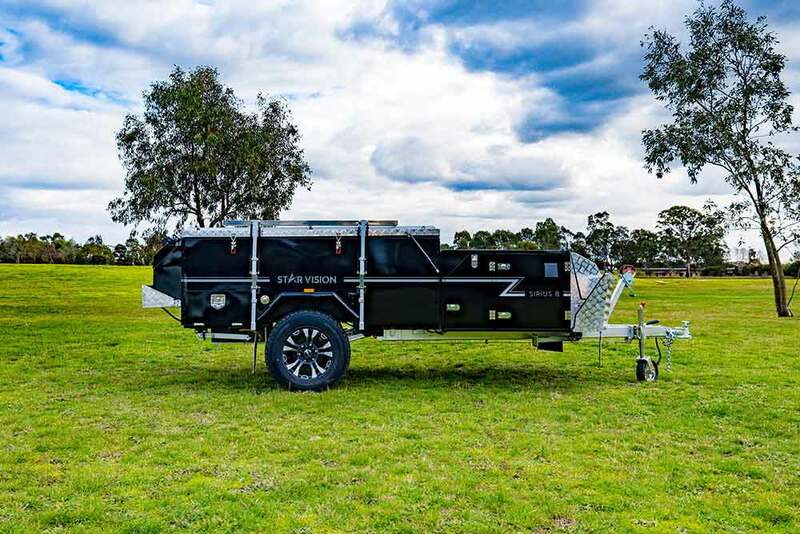 The camper trailer gives you the ultimate outdoor adventure experience – close to nature in one of the best ways. 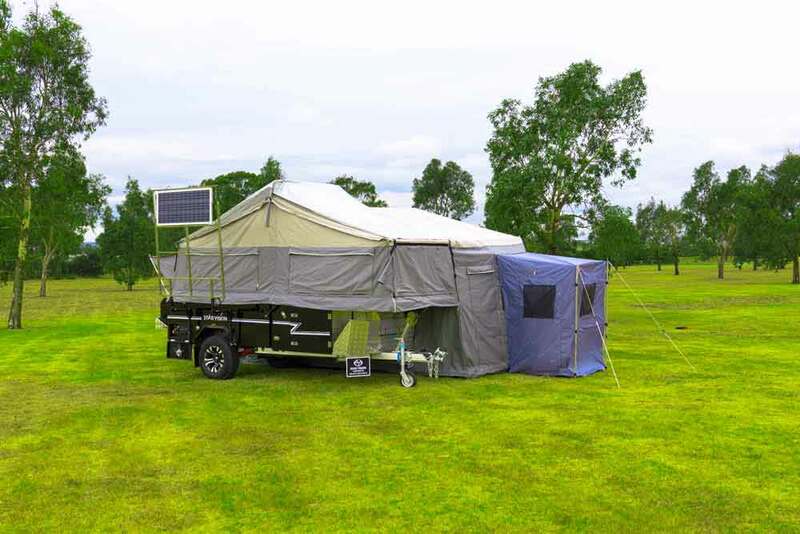 Off-road camper trailers are an excellent choice for your future outdoor trips. 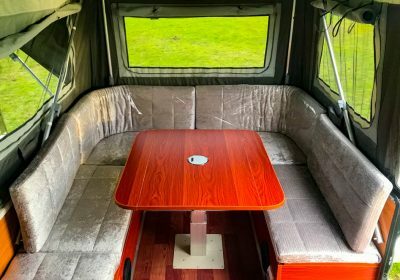 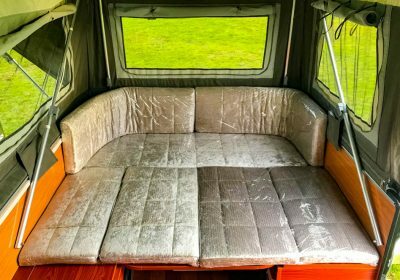 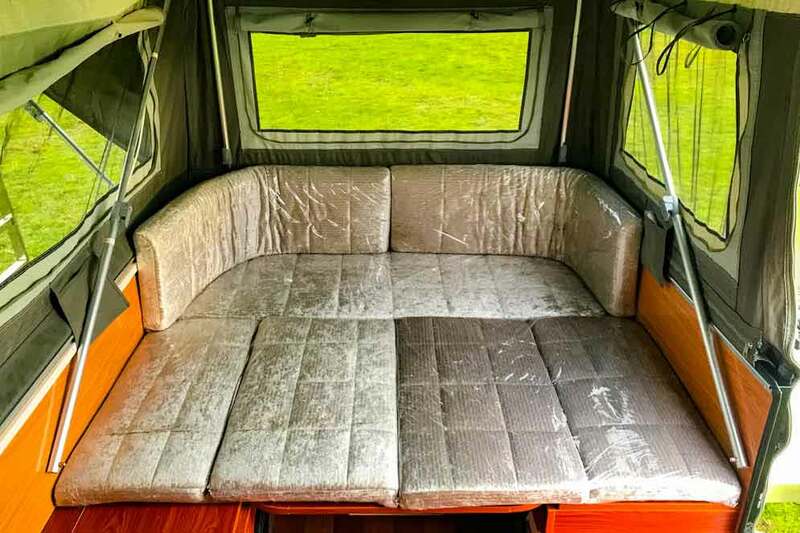 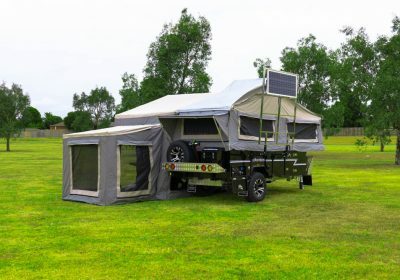 You will find all the features and options you need for a comfortable, hassle-free outdoor trip in an off-road camper. 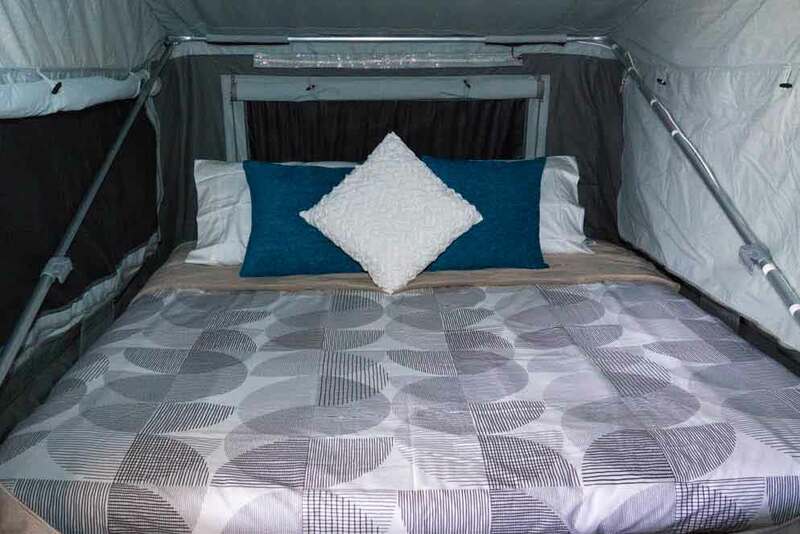 It is ideal for family trips with a 4 LPG gas burner cooktop, queen-size memory foam mattress, a 100-litre water tank, entertainment system, fridge slide, and much more. 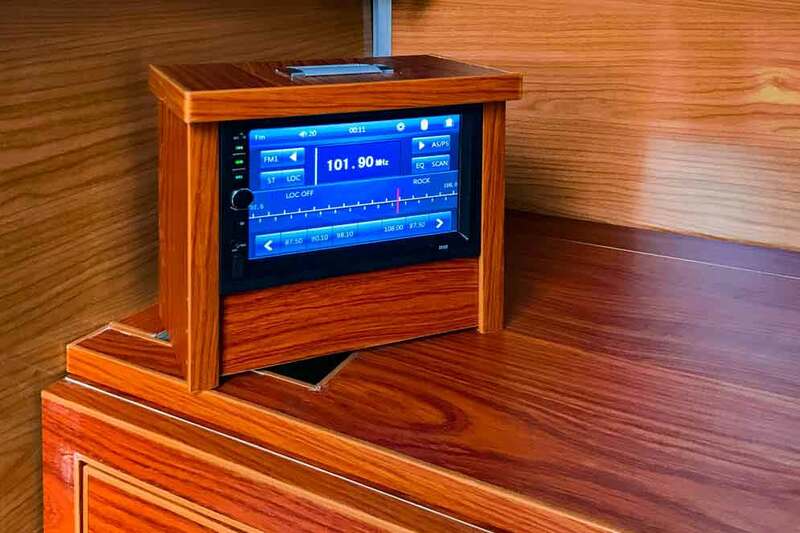 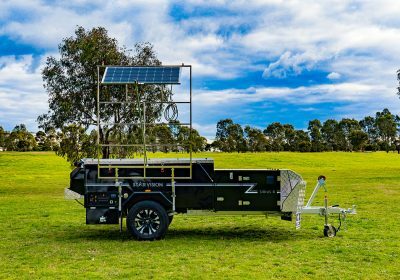 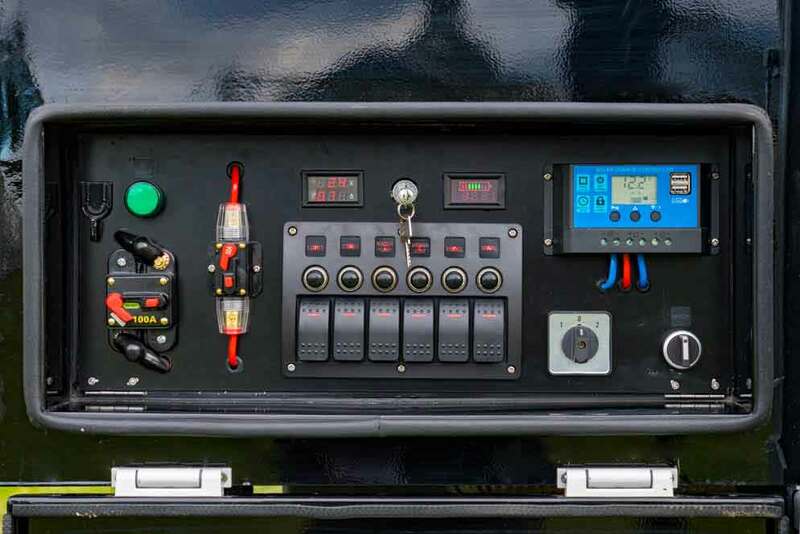 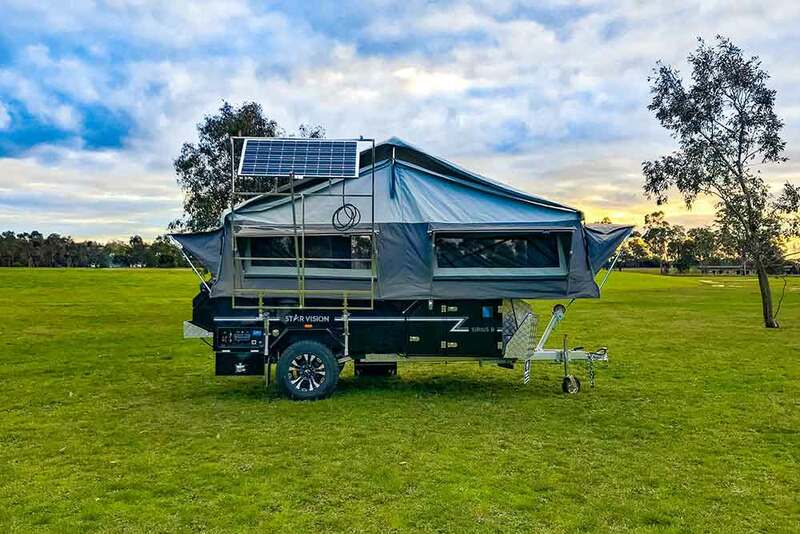 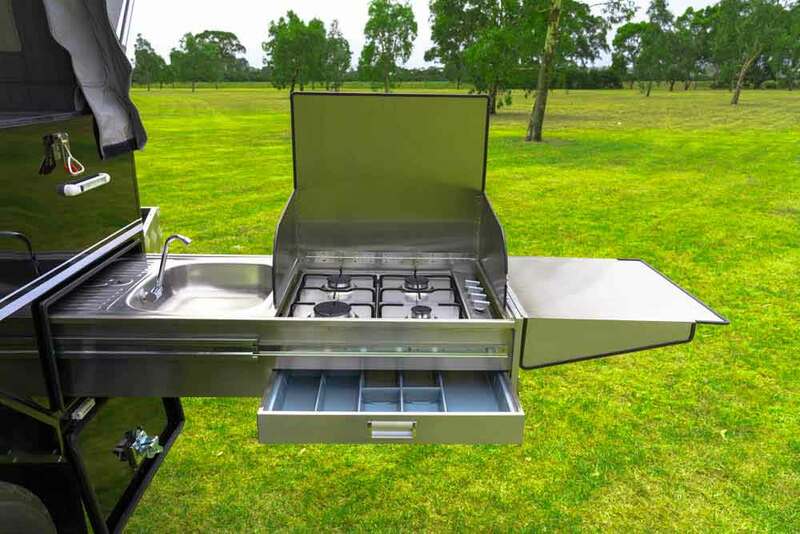 The off-road camper trailer with hard floor also features solar panel and regulator to add more comfort to your trips. We designed the off-road camper to give a smooth and reliable performance in any terrain of Australia regardless of the changing seasons. 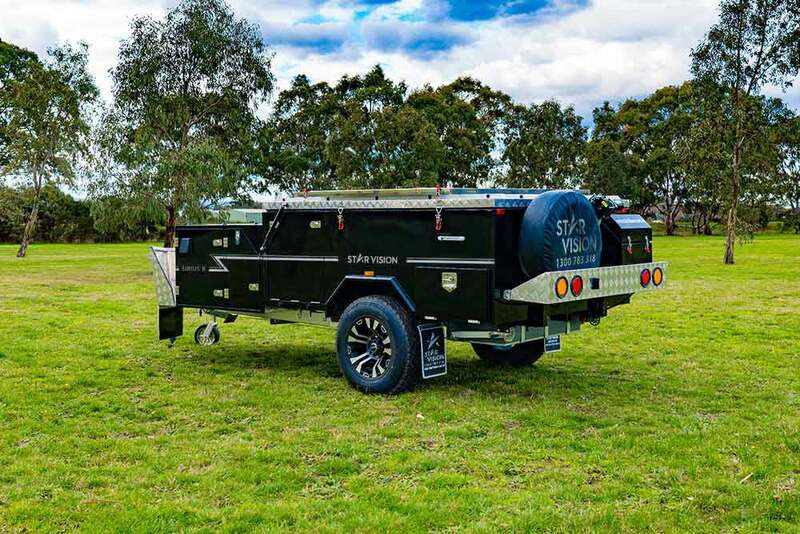 The coil spring rear suspension, all-terrain tyres, heavy-duty off-road shock absorbers, and hot-dip galvanised chassis of the trailer ensures you have a smooth ride experience and get exceptional performance across all types of terrain. 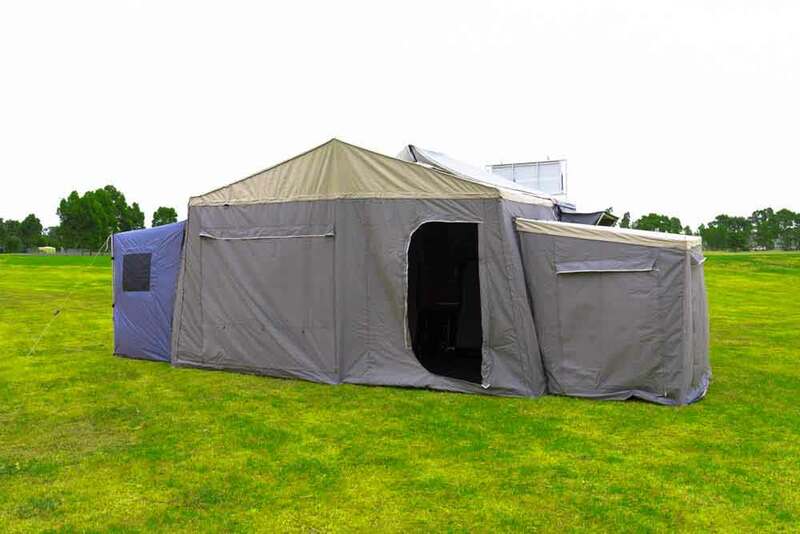 The fully-enclosed annex and the hard floor ensures safety and security even while camping in the remotest locations. 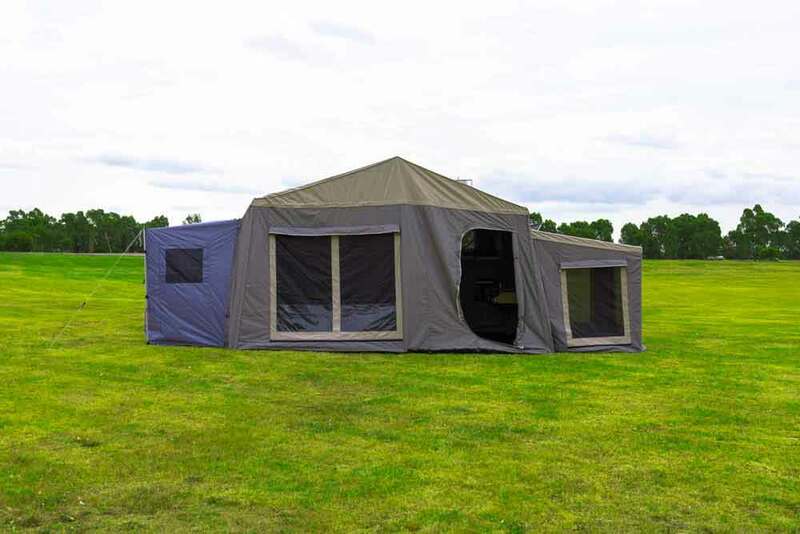 The ripstop canvas and tropical roof provide a seamless nature experience while camping. 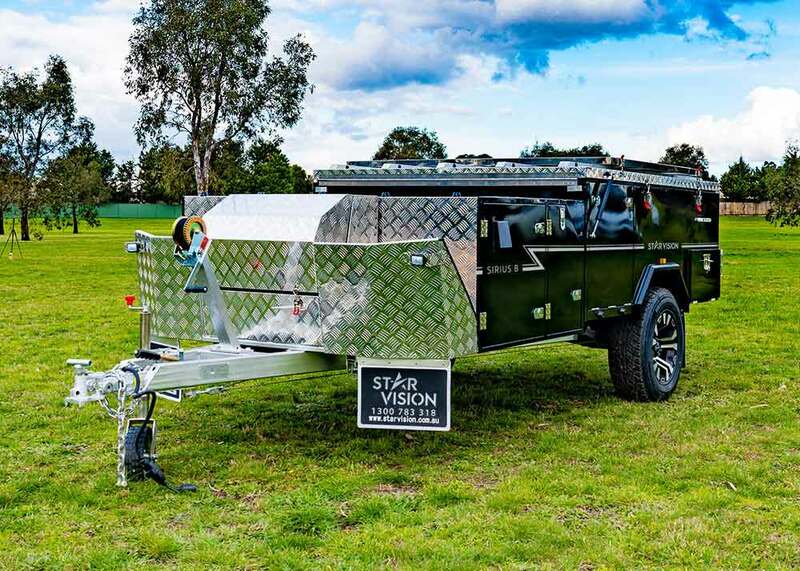 The off-road camping trailer for sale from Star Vision has hassle-free operations. 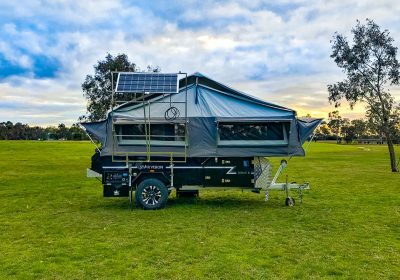 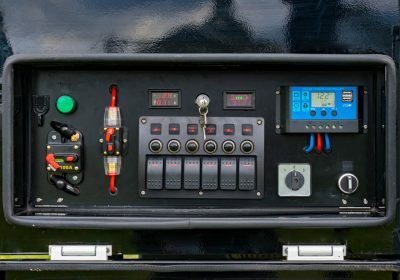 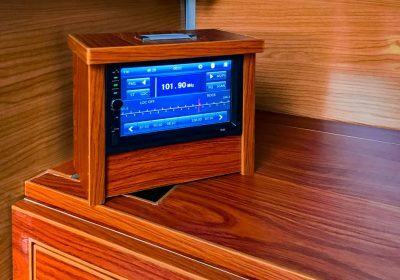 The remote control assisted setup feature allows you to set up the camper in a few minutes, without needing to seek the help of others. 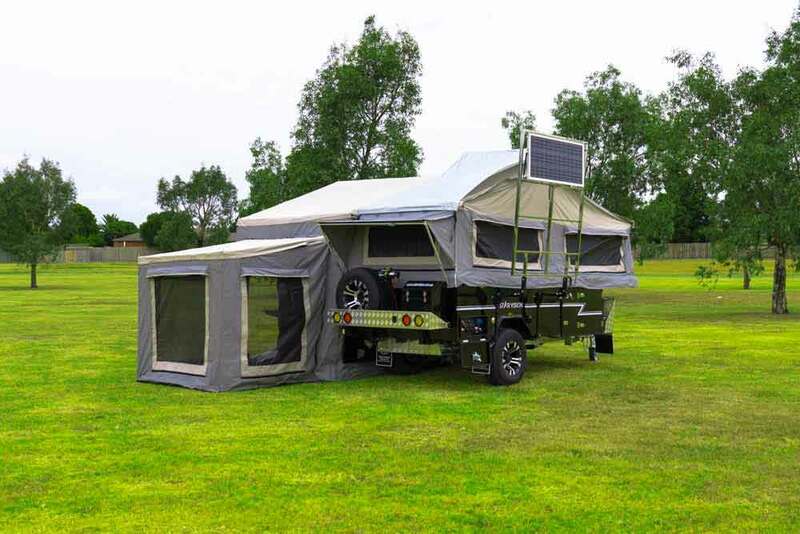 Also, the McHitch is a novel hitch option for towing the camper to your vehicle. 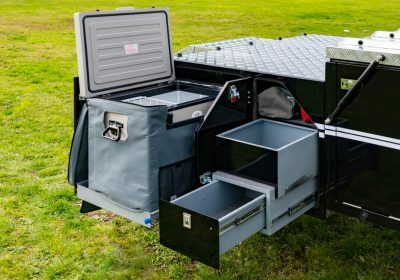 The hitch option allows you to couple the trailer with your vehicle in less than a minute. 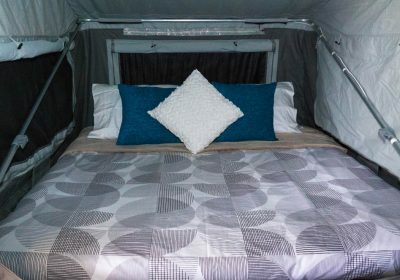 The camper is competitively priced, and you have the option to get flexible payment options. 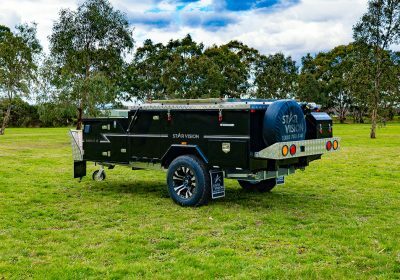 We have partnered with Stratton, a leading financial provider for vehicles in Australia, to offer flexible payment options to our customers. 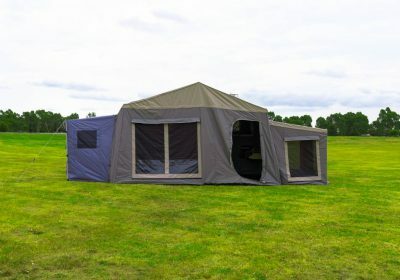 You can choose weekly payment options and make your outdoor outings a unique experience.